I’ve driven great heights before. This week, I’d already driven the Going-to-the-Sun Road in Glacier National Park. It’s a national architectural and engineering landmark. It takes you from the valley floor up amazing switchbacks cut right into the cliff walls. All the way to over 6,000 feet. That’s pretty high. I’ve driven Utah State Highway 12, which goes up to the top of Boulder Mountain outside of Bryce Canyon National Park. 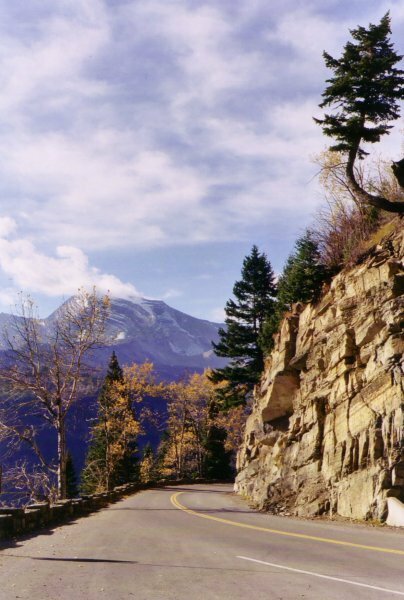 It’s known as a Scenic Byway in Utah, because it is absolutely beautiful. Trouble with this road is that is goes to a height of over 9,000 feet. And once you get to the top, the only thing there is the road. 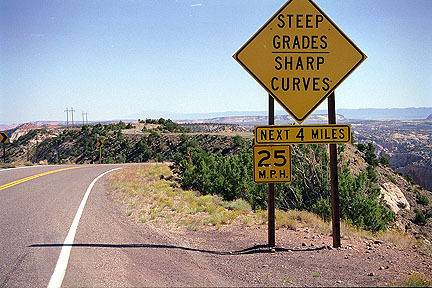 We drove this road in 2006 on the way from Bryce Canyon to Capitol Reef National Park. This is what you see when you get to the top. So I’ve driven at great heights before. But this week, I drove at the top of the world, across the backbone of America, in Rocky Mountain National Park. I was told by my mom that I’d been there before, but clearly it was at a time in my life where natural wonders did not awe me the way they do now. 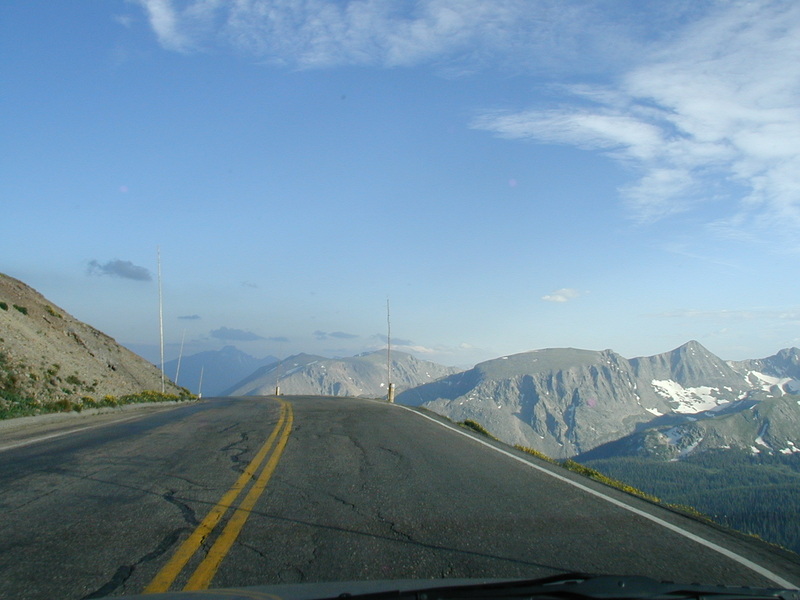 The road across the top of the world is called Trail Ridge Road. And unlike the precarious cliff walls of Glacier or the horrific drop offs of Highway 12, Trail Ridge Road is nice and easy going–until you suddenly find yourself at the top of the world. It’s the highest continuous highway in the United States, and eventually it reaches an elevation of over 12,000 feet. When we drove the road, it was a warm 85 degrees at the Beaver Meadow Visitor Center. By the time we reached the alpine tundra at the top of Fall River Pass, the temperature had dropped to 35 degrees, the wind whipped around us, and we realized just how high we actually were. From the warm montane region to the sub-alpine to the alpine, we experienced every kind of mountain climate possible. And it’s really high. 12,000 feet above sea level. And we loved every moment of it, driving slowly, soaking it all in. We were driving at the top of the world. Across the backbone of the United States, across the Continental Divide (which is actually lower than the highest point of the road). Past snow banks, elk, and more. Oh, and did I mention it’s really really high up there?